The subtitle to this book reads, how an ancient, ambiguous, and diverse book leads us to wisdom rather than answers, and why that’s great news. Those three words ancient, ambiguous, and diverse are really what hit you when you start paying attention to the Bible. As Peter Enns does a great job of arguing, the Bible is incredibly old, it is ambiguous (just look at Rabbis who have debated various Old Testament passages for three thousand years, and the plethora of Christian denominations and sects), and it is diverse. I think of all the words that could be used, diverse is the hardest for evangelicals to swallow. After all, evangelicals believe in a unified vocal reading of the Bible where God is the ultimate author and thus must have one single message being communicated. 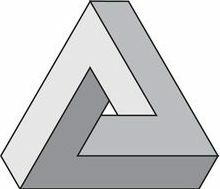 Any divergent voices are either misinterpretations, apparent contradictions, or some other phenomenon. Yet, when we pay attention to a close reading, the diversity within the Bible is just there waiting for us to see it. Once we can embrace that a whole new world is opened to us. We can then take part in the dialogue that is taking place within the text. However, this means that you cannot simply take the Bible and find a prooftext for any and every situation that can be taken without thought. The Bible simply doesn’t work that way as a rule book for life, where the answers are there just waiting for us to cull them. On top of that, the fact that it is ancient and ambiguous means that the pages therein must be interpreted and then applied to a modern setting that is strikingly different from its own time. This is why Peter Enns directs us to seek wisdom from the Bible rather than answers. In these page we can find wisdom from God, rather than answers. God is not a helicopter parent, you have to learn to think for yourself, and God wants to help us do that. In this book Peter Enns is at his most daring because he isn’t taking us through deconstruction as he did in “The Bible Tells Me so”, or assuring us at it is ok to doubt and deconstruct as he did in “The Sin of Certainty”. Rather he is taking on the project of reconstruction, which means he has to offer us a plausible path forward. He has to set forward a positive theory, and this is one of those cases where the proof is really in the pudding. The cash value is whether or not you can actually take this and use it in your life. Perhaps Enns’s most interesting concept is that of reimagining God, which he sees as the source of most of the diversity that takes place. Jews had to reimagine God during and after the exile in order to understand why they were in exile, and then post-exile why they still had foreign rules. When would God restore the throne to David’s line? God had to be reimagined again after Jesus came, and the first Christians began trying to figure out how Jesus fulfills the Old Testament and creatively interpret it to do so. Jesus doesn’t match any of the expectations that Jews had coming from the Hebrew Bible. Instead he shatters their ideas of what God was up to. Jesus is crucified and resurrected, which is not what was supposed to happen to God’s anointed one (Messiah). Following this lies the task of reimagining God in our own time and place, and Pete argues that we are following the Bible when we do so. There is not a straight line from the Old Testament to our own time, rather we have to use wisdom to interpret scripture, reimagine God, and follow him in our own time. This is a wisdom task, one that the Bible models for us. I have read most of Pete’s other works including “Inspiration and Incarnation”, “The Evolution of Adam”, and the previous books mentioned earlier. I have enjoyed all of them, but I find “How the Bible Actually Works”, to be his most rewarding yet. Biblical scholarship is a critical task, and spending much time with it will leave you with many questions about the Bible and your faith. I think this is a positive and enriching process, and this book aides in the process of taking you from the place of analysis to the place of asking “now what?” as someone who is a Christian seeking to follow God in a life of faith. What can you do with the Biblical scholarship you have learned, and live a Christian life? Pete’s work points a valuable way forward. I highly recommend it and hope everyone will have a chance to read it for themselves. His humorous style of writing will leave you both informed and entertained. Thank you Peter Enns, and we look forward to whatever you have in store next. I highly recommend this latest by Peter Enns on his podcast “The Bible For Normal People.” In it he interviews Benjamin Sommers, a conservative Jewish Biblical scholar, and shares the various views that Jews have on the Bible, focusing mainly on the conservative viewpoint. There are many things that Christians can learn from these perspectives, especially the need for epistemic humility in regards to our own interpretations of the Bible, and that disagreement and debate can actually be a form of worship rather than a cause for strife. The Bible endorses various viewpoints in its ambiguity, rather than forcing one particular right answer for us to arrive at. Listen to the whole thing and it will be well worth your time. 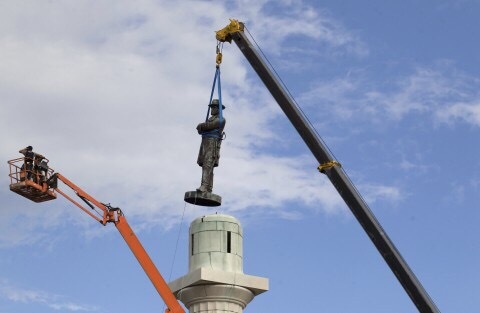 Buried in your news feeds has been the story of confederate monuments being torn down in New Orleans, Louisiana. It appears much of the focus has been removing statues that honored confederate soldiers such as P.G.T. Bouregard who fired the first shots of the Civil War on Fort Sumter. The Confederate States of America was formed from states that seceded from the United States of America after Abraham Lincoln was elected the 16th president in 1860. Although there were many issues economic and otherwise that divided North and South, such as protective tariffs that Northern Industry favored as opposed to the lower tariffs preferred by southern agriculture, the chief issue of divide that led to all others was that of slavery. Yes there was a conflict between states rights versus federal power, but the apex of that debate had to do with the existence of slavery, and that of African Americans in particular. The Confederate government’s constitution was identical in almost every way to that of the US constitution, except for that guarantee of the perpetual existence of chattel slavery. After the Confederacy lost the Civil War and reconstruction came to an end, Jim Crow laws that oppressed blacks and empower whites became the prevailing rule in the South, and even in much of the North. The South turned to memorializing its lost heritage, honoring their forebears with statues, street names, schools, flying the confederate battle flag, holidays, and other such monuments. Many of these continue in existence to this day, however many are pushing back on these. Last year, South Carolina ceased flying the confederate flag on state capitol grounds, which caused consternation among some, and celebration for others. Now we are seeing other actions taken place, such as statues and other monuments removed from public property in places like New Orleans. In my opinion, much of this ought to be welcomed. For any virtues it may have had, the Confederacy was founded on one of the most vile institutions ever to besmirch the earth. For more than two hundred years African Americans were treated no better than cattle, and purely as means for the ends of others, having no value in and of themselves as human beings. For black children to have to go to schools honoring people such as the confederate president Jefferson Davis is simply unacceptable. This was a society built on the idea that the very people that attend those schools named after them are not full human beings entitled to all the equal rights and liberties that whites enjoyed. Such a society should not be honored, but should be remembered with sadness and shame. Here is the crucial distinction I want to draw out from this. There is a difference between honoring, which has the idea of elevating something as being worthy of some good, and remembering as being an important part of ones past. We have to find ways of always remembering that part of our American heritage, without elevating it as praiseworthy. We need to have and preserve our battlefields and historical sites, so that we never forget our history, but we must not honor all aspects of that past. My own fear is in getting carried away in iconoclastic zeal and destroying all remembrance of our past. While no African American should have to daily go past a memorial to Nathan Bedford Forrest, we should not tear down a battlefield he fought at to make room for the next development or Walmart. We must always remember. It is part of who we are, and it is what prevents us from ever returning to that time. Finding and defining that line can be tricky at times and we must determine where the line crosses between remembrance and honor. Two hundred and forty years ago, Thomas Jefferson penned the words in the Declaration of Independence that have both inspired and haunted America throughout the centuries. He wrote the self-evident truth that “All men are created equal.” Above I used the word “haunted” because throughout American history there has always been the constant reminder that this has forever been an ideal that we have not lived up to, for if all men are created equal, then all men must be treated equally by the law. It has always been the few who have dared to call out America on failing to live up to that idea, and those few have always faced the opposition of people who don’t want to have to see that dark underbelly that disturbs us all. However, on the other side of the coin, that phrase has always inspired us as an ideal to strive towards, and been the inspiration behind movements to challenge tyrants around the world. Equality before the law has always been a cornerstone of liberal thought for the last few centuries (I use the word liberal in the classical, broadest, sense, rather than the modern liberal that the term has come to connote since the New Deal). Indeed, in this sense it is an essential ingredient to liberty, for without the recognition that we must always be treated equal under the law, some people will always see their freedom reduced in order to provide certain privileges for others. By privilege in this case I mean the narrow sense of certain legal benefits given to certain individuals and groups, at the expense of others. Privileges can be either positive or negative, meaning they can be certain things the government provides to certain people (such as special tax breaks), or they can be things the government actively does against somebody (such as a special tax on someone). To use concrete examples, the government gives a special subsidy to growers of corn for the use of sugar and ethanol, and then punishes cane sugar imports. When the government does this they are not treating business equally, but privileging certain ones at the expense of others. An obvious negative treatment is slavery, where an entire race was subjugated to chattel servitude simply because of their skin color, and Jim Crow “separate, but equal” laws fall under the same category. From the classical liberal perspective, these unequal laws are a scourge upon liberty. If individuals and groups aren’t treated equally under the law, they also are not free, or at least not as free as others. This is why, at least politically, the movement for LGBT equality is something that should be recognized for what it is, the demand for certain people to be treated equally under the law, and have the same rights and freedoms as those who are straight. It’s not about having special treatment at the expense of those who are straight, but having the same liberties as those who are straight. The Black Lives Matter movement is also an example of the demand for equal treatment under the law. As a principle, this is a movement that has been going on since the first African-American slave arrived in Virginia in 1619. (One can quibble with certain goals of the organization, but the principle is a vital one.) Throughout our history, black lives have not mattered as much as the lives of white Americans, and the demand for equal treatment by law enforcement as one of the coercive arms of the state is essential. Although the data doesn’t support the conclusion that blacks are shot at more than whites, as a whole blacks do have physical force applied to them far more than white people do. This concrete example makes clear that unequal treatment isn’t simply an affront to justice, but an infringement on the equal rights and liberties of everyone. I want to go further and discuss what this kind of equality is not. It is not that people ought to have equality of outcomes, nor is it necessarily equality of outcomes, both of which are egalitarian measures as a function of economics rather than law. I think it is important to keep a distinction between considering equality in terms of economic arrangements and legal arrangements. Although there is a relation in terms of how the laws are applied in economic regulations, when we consider equal freedom under the law, we are considering something distinct from whether or not people should be equal in terms of opportunities. Equality of outcome is the notion that everyone should be equal in terms of their income and property distribution. Equality of opportunity is the notion that everyone should have the same chance to succeed in life, regardless of the station to which they are born into. Both hold a certain danger to the free society, in that both require greater amounts of government intervention into the economy which inhibits the economic freedom of some for the benefit of others. In considering both in terms of degrees, equality of outcome is far more dangerous to the free society than is equality of opportunity. The former requires large degrees of government coercion and redistribution in order to equalize peoples stations in life, and history has shown that this equality always pushes everyone down (except for those wielding power) rather than lifting everyone up. On the other hand, equality of opportunity, is actually something that a free society does tend to strive towards, but within the bounds of respecting equal treatment under the law. For instance, the elimination of nobility in the American constitution is both an instrument of equal treatment under the law, and a way of creating more equal conditions in terms of opportunity that people have. Declaring JIm Crow laws unconstitutional is also a way of creating both equal treatment, and equality of opportunity. There is always a degree of nuance and complexity involved here. Affirmative action is a good example of a law that tries to equalize opportunities, but causes much disagreement over whether or not it goes against equal treatment under law. As Matthew Yglesias of Vox has argued, there is no real way to measure equality of opportunity, so it is very difficult to measure whether or not it has been achieved, and I would argue we will never fully achieve it through legal means if we hope to maintain equal treatment under the law. However, perhaps one day we will approximate more fully as society evolves, and, hopefully, we begin to realize our shared humanity. Then maybe we can learn how much we accomplish without the use of force, which is why the free society rests so fundamentally on individual responsibility and initiative. And, to end on a pessimistic note, maybe why we will never completely achieve it. As William F. Buckley Jr. noted about the conservative movement, it will always be asymptotic in achieving its ideals. The other day on Facebook, I wrote a post saying that one should always vote according to principle. I wanted to take the opportunity to clarify what I meant in that post. First, voting on principle is not the same thing as voting on ideological purity. A candidate is rarely, if ever, going to reflect the ideology one holds perfectly. Even though I am voting for him, I do not agree with Gary Johnson on every position he holds. Moreover, there are stances he takes that quite a few libertarians would disagree with. However, in the big picture he is a libertarian, and is doing a decent enough job of representing what the libertarian position looks like in modern American politics. Second, and following on the first point, I am not saying one cannot vote pragmatically. In some ways my support for Johnson is pragmatic. However, when I say that one should always vote on principle, it means you should always look for the candidate that you respect, and will make the best president. If you don’t think anyone fits that mold, then you shouldn’t vote for any of the options. However, within that framework, there is a lot of room to move around in terms of ideological considerations and pragmatism. Unlike Johnson, I am pro-life, and I think freedom of association deserves more thought than what he seems to be giving it. However, I also agree with him on many other positions, and I think he will not do much harm to those areas where I disagree with him. I also think that both him and Weld, his running mate, were good governors, as far as I have been able to gather, and I think Johnson would make a good president. That is, he will uphold and defend the constitution of the United States. This is my take at least, and I welcome others. Ideology, and other factors, will obviously play a role in how we understand the principles that we apply. However, voting for a lesser of two evils is simply not an option. Sometimes it is best to not vote. Jonathan Merritt had a recent column in which he argued that moral relativism had been superseded by a new moral that is at the center of much of our cultural life. He argues that the core moral, what I would argue would be that of social progressivism, is discrimination, and more particularly anti-discrimination. This would be the oppressor/oppressed axis that Arnold Kling discusses in his book “The Three Languages of Politics.” That axis is the lens through which progressives see the world around them. Thus, the oppressor discriminates against the oppressed, and this must be rectified. Hence, the Christian baker, of my previous post, is the oppressor discriminating against the oppressed, and the state has the obligation to make sure that this discrimination does not take place. In the last couple of years we have seen movements on college campuses for safe spaces, complaints of “microaggressions,” and other anti-free speech protests. These are anything but liberal protests. This is a movement that is against free speech because it is believed that free speech only benefits the “oppressor,” or those who currently hold power. Thus, speech must be regulated to ensure that speech power is equalized, and “bad” forms of speech are eliminated from the common lexicon. All forms of heresy must be suppressed. These kinds of views are closer to Puritanism than to any kind of modern liberalism. Discrimination is key here, because these all reflect views of the powerless, those who have been discriminated against and oppressed. This is why it is my contention that progressive leftists are actually closer to some forms of conservatism that seek to force people to live by certain religious standards, than to genuine liberalism that seeks toleration in society for various lifestyles and beliefs. The point for liberalism is that the state is neutral towards the good life because the state is agnostic towards the good life. People may or may not be agnostic, but the state is because the state has now immediate way of determining what the good life is. The only thing the state can do is enforce one particular type of good life, or none at all. Now are there some goods that the state must protect? Yes, and these goods that it protects is what allows people to pursue their own ends, without state interference. And this is what I want to move my focus towards next time. We have to determine what is both necessary and sufficient to have a free society. What are the institutions and norms required to achieve and maintain a society that is generally and equally free for its members. P.S. I want to add before closing, that the argument has often been made by conservatives that America is becoming much less moral, and is on the path to losing all moral notions and ending in moral nihilism. However, I hope this essay has made clear that exactly the opposite has been happening. If anything we have been becoming more moralistic, not less. Morals have shifted, but have not gone away. In many(if not most) cases, these morals have deep Christian roots, but have been reshaped and rethought around the progressive axis.